If you’re looking for the very best train trips in the US, I’ve got a few great suggestions to start you off. I adore train travel, and have undertaken some massive train journeys in the last few years. 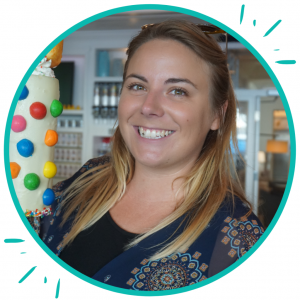 From to delving into the American south on an epic East Coast journey, to travelling through northern India on a luxury train, I’ve been lucky enough to do some amazing trips. These are some of my top picks for the best American train journeys. 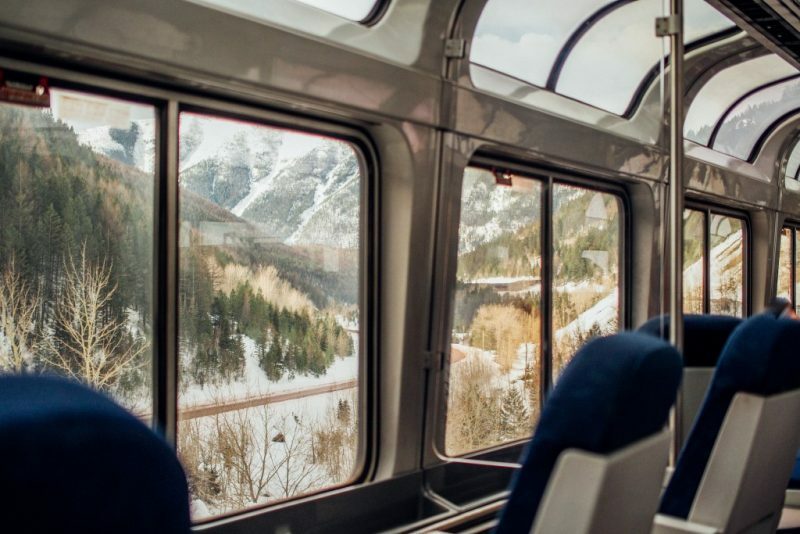 Whether you travel from coast to coast across America, or simply traverse one state, there’s so much to see from the window of a train. Which one of these would you love to try first? Don’t forget; you might need a visa to visit the USA. If you’re coming from abroad, check the visa requirements before you travel. Luckily, British citizens visiting the USA for a holiday don’t need to apply for a visa. Instead, you can apply for ESTA, which is basically a visa-waiver available for certain countries. It can really make life a lot easier if you’re travelling to the USA. Passing through Glacier National Park on the Empire Builder from Chicago to Seattle. The epic 3,000 mile coast to coast train across the USA takes three nights (without stopovers) and involves two trains. On the East Coast, your starting point can either be New York City or Washington DC. From whichever city you choose, you can take an overnight train to Chicago – the Lake Shore Limited from NYC or the Capitol Limited from DC. In Chicago you can change to one of three trans-continental trains to either Seattle, San Francisco, or LA. 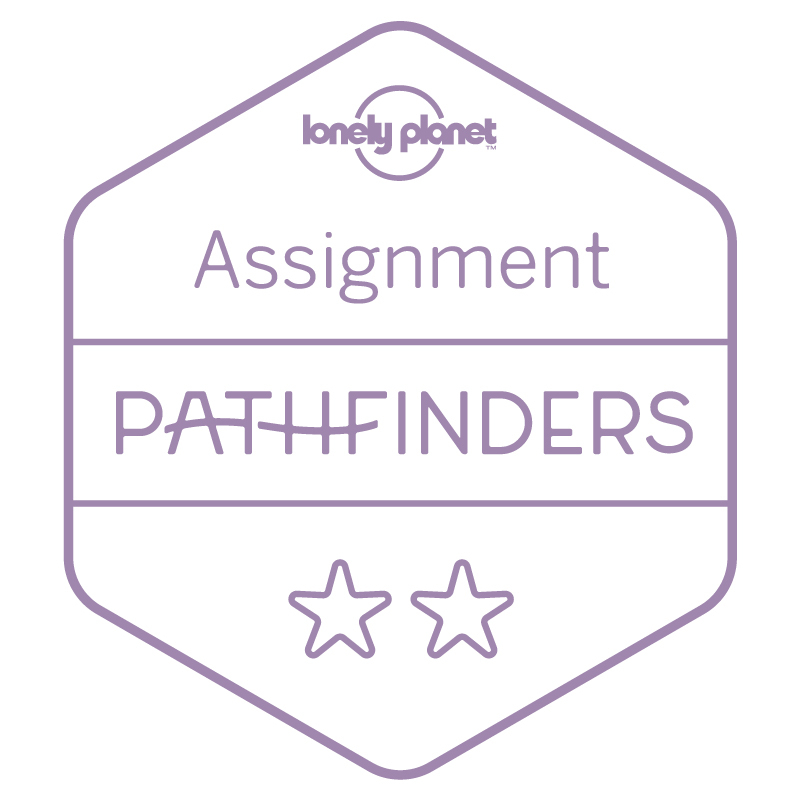 Whichever way you do it, this coast to coast train trip across America is sure to be an epic adventure! Amtrak’s famous California Zephyr often ranks among the best train journeys in the world, and it’s certainly one of the best train trips in the US. It’s often said that after taking this train, you’ve seen more of America than most Americans! At a whopping 2,438-miles through seven states, it’s easy to see where the sentiment comes from! From Chicago’s stately Union Station, the California Zephyr carries passengers through the flatlands of Nebraska, the Rocky mountains, the canyons of the Colorado river, the Utah Desert, and the snow-capped Sierra Nevada mountain range. I took the Amtrak Crescent just over a year ago, and it was where I fell in love with American train travel! The 30 hour train ride from New York City’s Penn Station, down the East Coast all the way to New Orleans, was the perfect way to see this side of the country. On this slow chug from North to South you can literally see the country, and the weather, changing. I left behind snow in New York and watched the landscapes change and warm up as we made our way through thirteen states including Virginia, Georgia, and Alabama. Although it’s less well-known than some of the more popular Amtrak routes, I really fell for this epic American rail journey! This route contains some pretty spectacular coastal scenery! On the other side of the country, the Coast Starlight is the West Coast counterpart to the Crescent. Amtrak’s most popular route, the Coast Starlight offers up incredible views of the Pacific Ocean and the Cascade Mountains. Waterfalls, lush forests, and snow-capped mountains all pass by, as well as long stretches of the Pacific shoreline. So you may struggle to tear your eyes from the window! 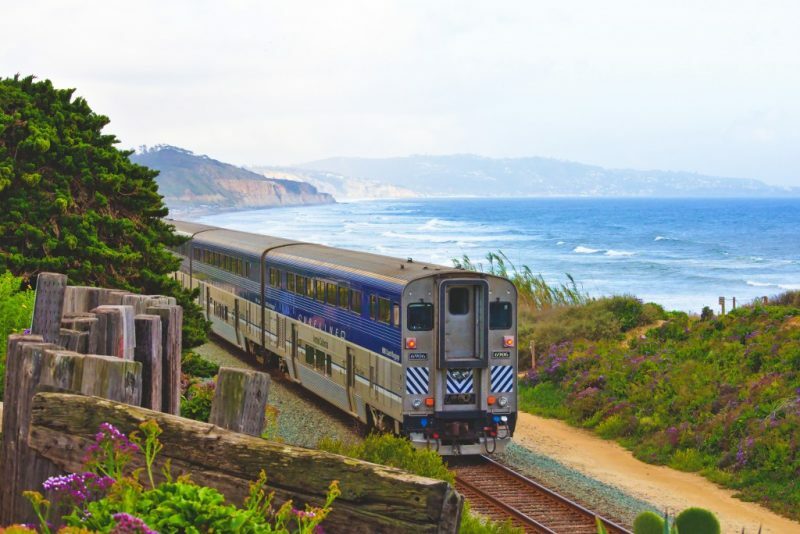 Book a seat on the western side of the train for coastal views. Another of the epic train trips in the US, the Texas Eagle cuts diagonally across the country through four states. 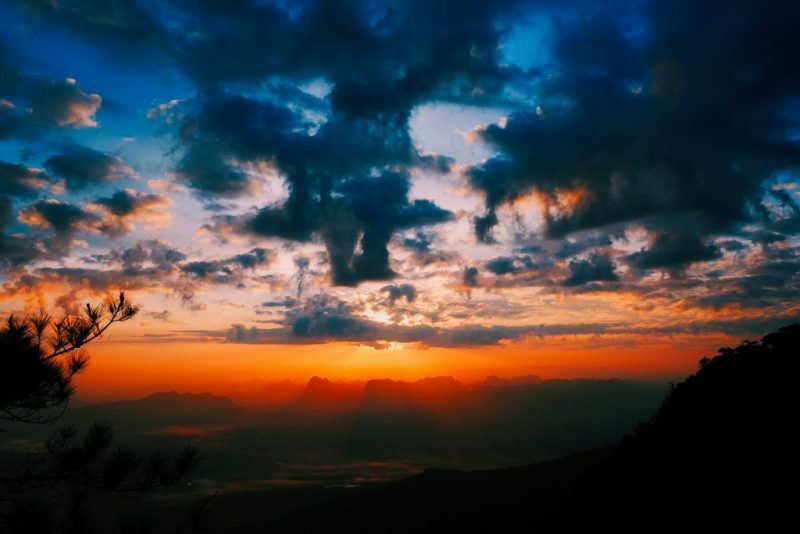 Travelling the 1,306 miles through the western United States is the perfect way to enjoy this part of the country. And you can really get a sense of just how big Texas truly is! Wind down through Wild West country; across the Mississippi River, and through the Ozark Mountains towards the pine forests of East Texas. 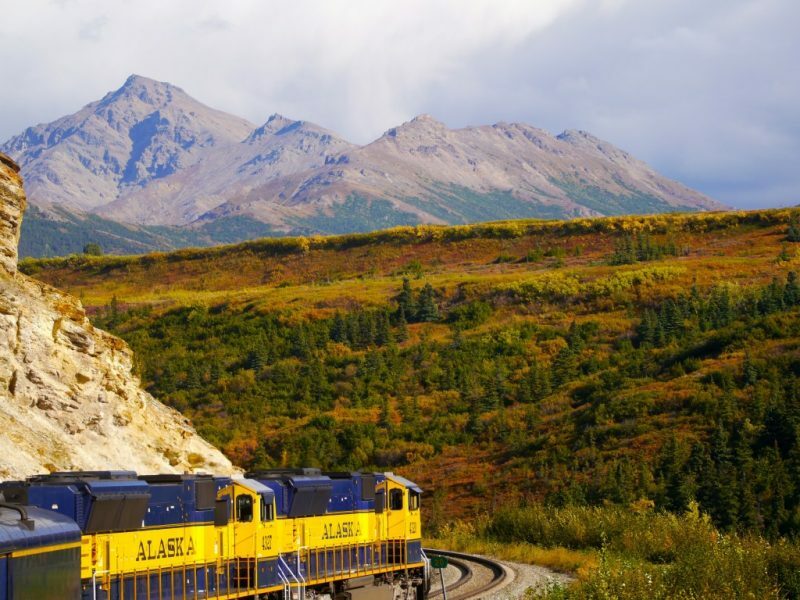 The last of my top picks for the best train trips in the US is the Denali Star route on The Alaska Railroad. Running from Anchorage, the train heads north through the Denali National Park to Fairbanks. These are some of the most spectacular mountain views in Alaska, and the perfect way to explore the so-called “Last Frontier” of America. Highlights of the Denali Star route include crossing the Hurricane Gulch Bridge some 296 feet above the creek, as well as spectacular views of Mount Denali, the tallest peak in the USA. This post was brought to you in conjunction with ESTA Form. All words and opinions are entirely my own. 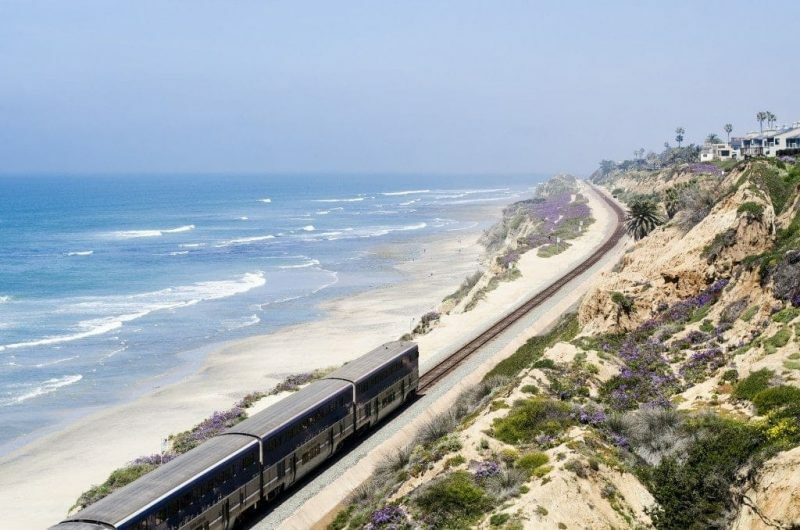 Have you taken any of these incredible train trips in the US? 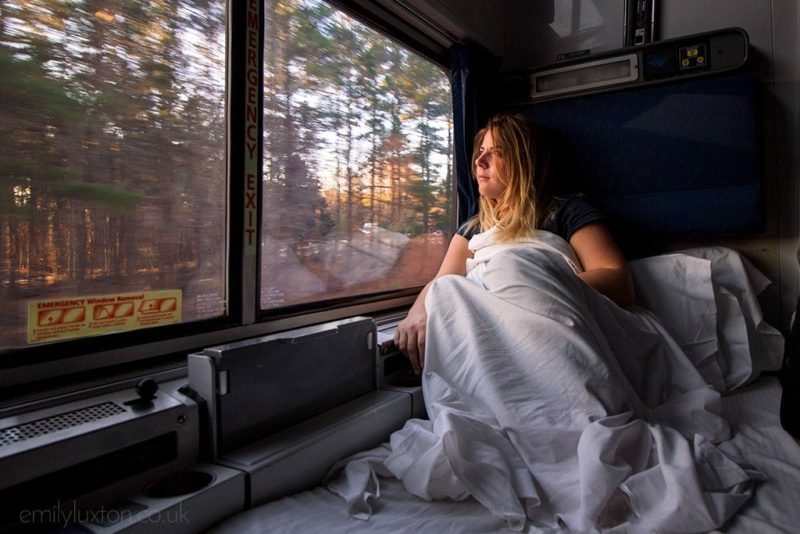 Or do you have another amazing American rail journey to add to the list? Scroll down to leave a comment! Great post. I did the Lake Shoreline from NY to Chicago, then the California Zephyr to San Francisco and then the Coast Starlight up to Portland and then Seattle via Yosemite! It was an amazing experience I have yet to write about. Some years ago I also went across the Canadian Rockies from Vancouver to Edmonton. I’d like to do them all now! Woooooowwwwww that sounds like one heck of a trip. How long did the whole thing take you? I think I need to make a similar trip myself this year. I love train travel! Same here!! Love it so much and the USA seems like the perfect country for epic rail journeys because it’s so massive, so varied, and so beautiful!